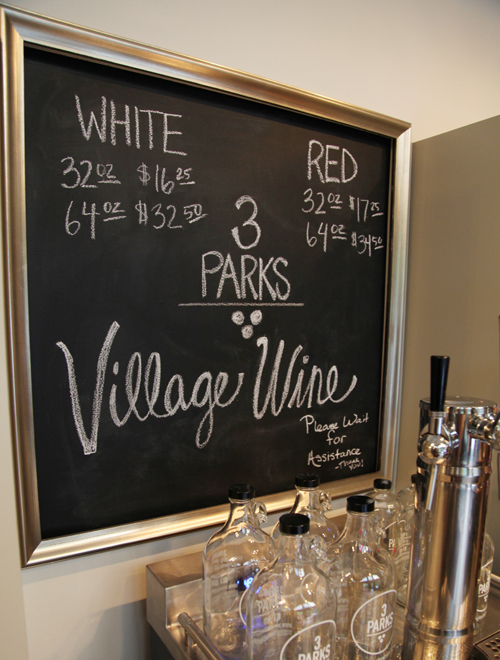 My neighborhood wine shop, 3 Parks has figured out a secret to success: offer alcohol in bulk while making it fun, stylish and cost effective. Inspired by European markets where customers come in with milk jugs and wine jugs and fill from barrels, the owners decided to offer the same service with their wines. They're calling it Village Wine and it's living up to its name. The people have responded in a big way. The other great thing is the bottles can be used over and over. Every time you come in to fill up, your bottle will be exchanged for a newly sanitized one. They put care in the design of their glass bottles too. Sarah, "We just wanted it to look good on your counter." I'd say they've succeeded. 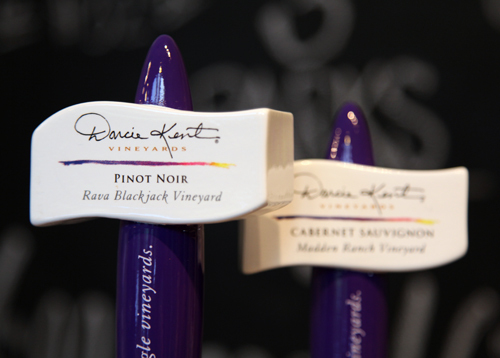 If you're in the Atlanta area, come check out 3 Parks and purchase your first bottle. (These also make the perfect hostess gift) I'm so happy to have them within walking distance... does this make me a villager? I've always liked the sound of that.